OTTAWA, April 5, 2019 /CNW/ - Health Canada is advising consumers that several health products sold at Sunrise Lee Chinese Herbs Centre (999 36th Street NE) in Calgary, Alberta, are unauthorized and may pose serious health risks. The products include sexual enhancement capsules, cold and flu tablets and creams for a variety of skin conditions. 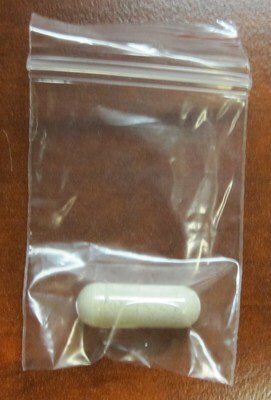 They are labelled to contain prescription or banned drugs (see below). Most of the unauthorized health products are packaged and labelled in Chinese characters. As a result, information about ingredients, usage, dosage and side effects may not be understood by all consumers. Prescription drugs should be taken only under the advice and supervision of a healthcare professional because they are used to treat specific diseases and may cause serious side effects. Unauthorized health products have not been approved by Health Canada, which means that they have not been assessed for safety, effectiveness and quality and may pose serious health risks. They may contain ingredients, additives or contaminated ingredients not listed on the label. In addition, they may lack the active ingredients Canadians would expect them to contain to help maintain and improve their health or they may contain ingredients that could interact with other medications and foods. For all of these reasons, unauthorized health products could cause serious health effects. Selling unauthorized health products in Canada is illegal. Consumers who have bought or used any of the products listed below. Stop using these products. Consult your healthcare professional if you have used any of these products and have health concerns. Health Canada removed the products from the retail location. Should additional safety concerns be identified, Health Canada will take appropriate action and inform Canadians as necessary. These health products were labelled to contain undeclared drug or banned drugs, which may pose serious health risks. 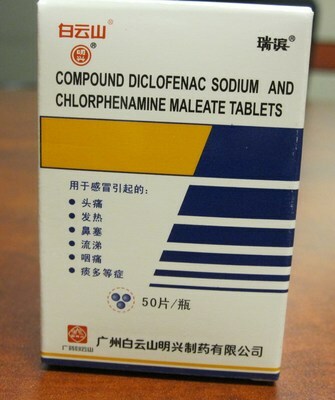 Chlorphenamine maleate is a non-prescription antihistamine drug. Side effects include drowsiness, dizziness, confusion and blurred vision. Chlortetracycline Hydrochloride (HCl) is a prescription drug for veterinary use that is not approved for human use in Canada. It has not been reviewed by Health Canada for safety, effectiveness and quality for use in humans. It belongs to a class of drugs known as tetracycline-type antibiotics. Dexamethasone is a prescription corticosteroid drug used to treat various inflammatory conditions. Dexamethasone has not been approved for use in creams in Canada. Dexamethasone can be absorbed through the skin, which may cause side effects throughout the body, especially when used over a large surface area and for a long time. This risk is greater in children, who may absorb proportionally larger amounts and be more susceptible to systemic toxicity. Side effects could include high blood pressure, high blood sugar, blurred vision, uneven heartbeats, weakness, swelling, and thinning of the skin. Dexamethasone is generally not recommended for use during pregnancy. Diacetyldiphenolisatin, also known as oxyphenisatin acetate, is banned in Canada and elsewhere because of the risk of serious liver damage. It had been used previously as a laxative drug for treating constipation. Diclofenac for oral consumption is a prescription drug used to relieve the pain and swelling caused by arthritis. It increases the risk of serious heart-related events such as heart attack and stroke, high blood pressure, stomach or intestinal bleeding or ulcers, kidney problems, serious liver disease, and bleeding or clotting problems. It should not be used in patients who have severe uncontrolled hypertension, a history of asthma or allergic-type reactions after taking acetylsalicylic acid (ASA) or non-steroidal anti-inflammatories (NSAIDs) including diclofenac, women in the first and third trimesters of pregnancy, and those who are breastfeeding. Fluocinonide cream is a prescription corticosteroid drug used to treat inflammation and itching caused by skin conditions such as allergic reactions and eczema. It is a relatively strong corticosteroid cream. It can be absorbed through the skin, which may cause side effects throughout the body, especially when used over a large surface and for a long time. This risk is greater in children, who may absorb proportionally larger amounts and be more susceptible to systemic toxicity. Side effects could include high blood pressure, high blood sugar, blurred vision, uneven heartbeats, weakness, swelling, or thinning of the skin. It is generally not recommended during pregnancy. Yohimbine is a prescription drug and should be used only under the supervision of a health care professional. 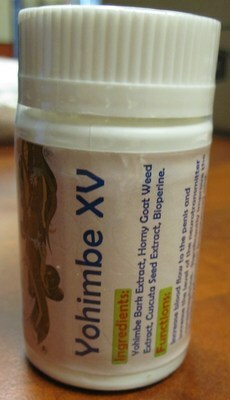 Yohimbine is derived from yohimbe, a bark extract. The use of yohimbine or yohimbe may result in serious adverse reactions, particularly in people with high blood pressure, or heart, kidney or liver disease. Side effects include increased blood pressure and heart rate, anxiety, dizziness, tremors, headache, nausea and sleep disorders. It should not be used by children, or pregnant or nursing women.